Stephanie has worked as a natural health therapist for over 25 years. She is a clinical nutritionist with a degree in nutritional medicine and also has a masters degree in psychotherapy and counselling. Stephanie likes to combine both skill sets to help people with all kinds of health issues, both physical and psychological. With a background in neuro-muscular and remedial massage therapy, manual lymphatic drainage, Bowen technique and personal fitness training, Stephanie is able to offer a comprehensive assessment of her patient’s health issues and then provides detailed, personalised health programmes to address the individual’s health concerns. Stephanie also runs Health Aware workshops for private and corporate parties where specific health and dietary issues are explored, discussed and demystified with practical, accessible advice and demonstrations. 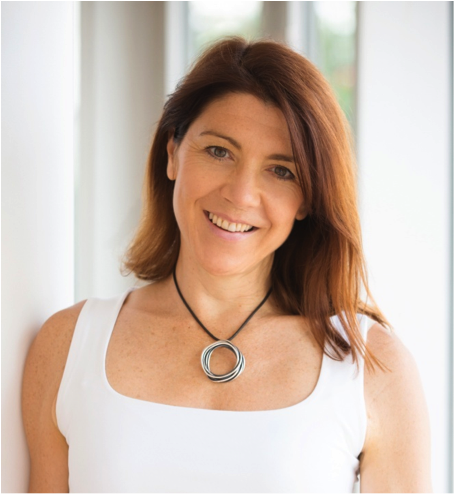 Stephanie is head of nutrition at Grayshott Health Spa where she oversees a radical 7 day digestive health programme that she developed 3 years ago. Stephanie also runs private nutritional therapy clinics in Haslemere, Surrey including an eating disorders clinic one day a week. Stephanie writes a health blog, is often featured in the media as a health expert and is currently working on a book about diet and exercise. For further information visit www.health-in-hand.co.uk or ring Stephanie 01428 641868 / 07931 111559. Stephanie manages her own bookings, and works from Haslemere Chiropractic Clinic on Friday afternoons.